A little infection never stopped a zombie from roaming about the streets. 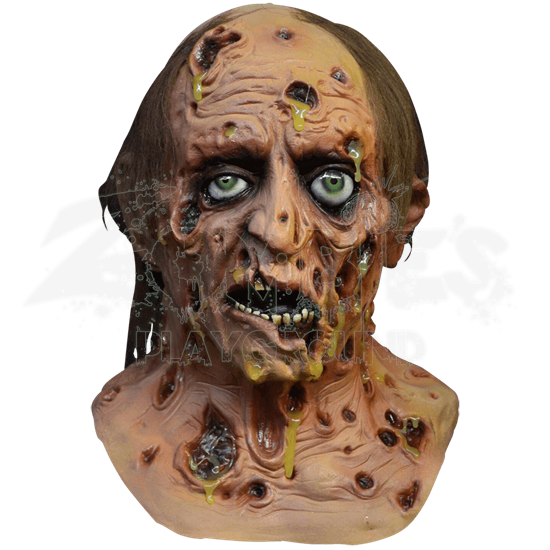 Transform yourself into just that with this Diseased Zombie Mask that offers plenty of horrific detailing. This latex mask covers the entire head when worn. It portrays a zombie ravaged by disease, featuring large rotting black sores with green pus that matches the eyes oozing out. The skin around the eyes, nose, and mouth appears to be melting away, revealing decaying teeth, gums, and eye sockets. On the top of the head is thinning strands of hair, making it look like this zombie only recently met its demise. 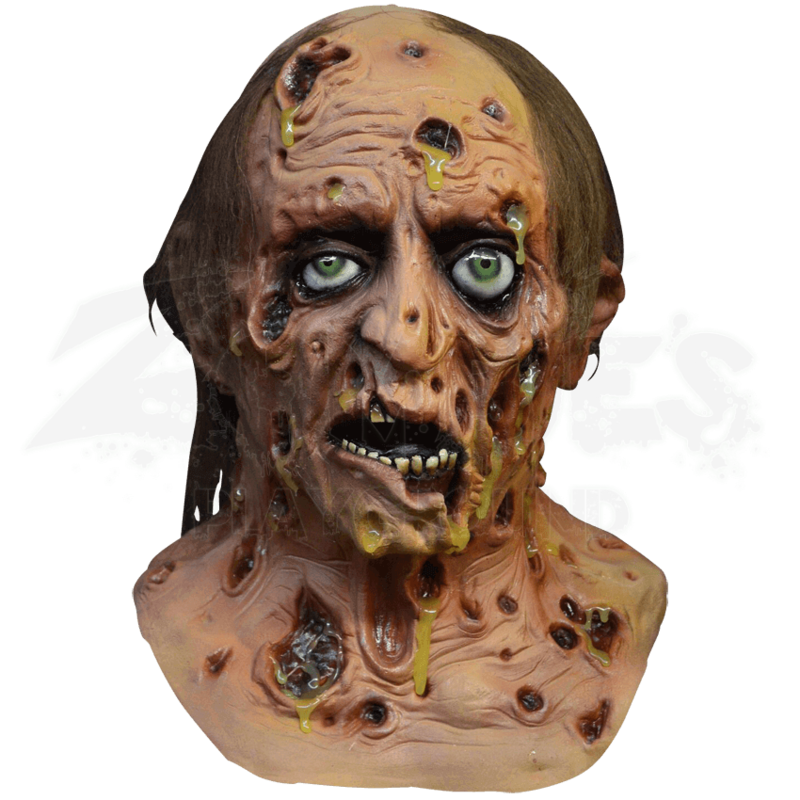 If you want to look gross and terrifying at your next zombie event, look no further than the Diseased Zombie Mask!